Unique is both a sponsor of Sparkle, the national Trans* festival in Manchester, and has representation on the boards of the Sparkle charity and Sparkle Manchester (the not-for-profit company that helps organise the festival). Unique provides the marquee for the Information Stand in Sackville Gardens on the Saturday of the event, and helps to run both the Information Stand and the Chinese Banquet on Friday evening. 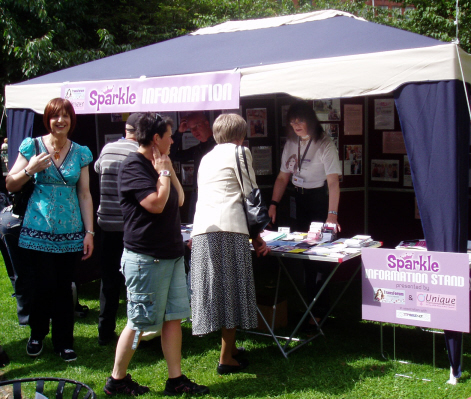 Unique also takes its display stand to various other events and festivals, including Pride Cymru, Cardiff Mardi Gras, Chester Pride and International Women's Day.